Home » Our Doctors » Dr. Darshan D.S. Worked as a tutor in pharmacology at SDU Medical College, Kolar from 1st July 1996 to 28th February 1997. Worked as a resident in Cardiology at Manipal Hospital, Bangalore, from 1st March 1997 to 30th June 1997. Worked as a resident in Cardiothoracic surgery at Manipal Heart Foundation under Dr. Devi Shetty, from 1st July 1997 to 31st August 1998. Full time Resident Doctor in General Surgery: as a registered candidate to the 3 year Masters in General Surgery Fellowship programme of Rajiv Gandhi University of Health Sciences, Bangalore. Worked in Narayan Hrudayalaya under Dr. Devi Prasad Shetty from 1st January 2002 to 31st August 2002 as Fellow in Cardiac Surgery. Worked as SHO in Jayadev Cardiac Institute from 1st November 2002 to 31st May 2003. Full time Resident doctor in Cardiothoracic & Vascular Surgery as a registered candidate to the 3 years in M.ch. in CTVS in SRI, Ramchandra Medical College & Research Institute, Polur, Chennai, Deemed University. He was working as Asst. Professor in CVTS, J.N. 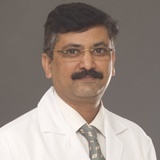 Medical College, Belgaum and Consultant, CVTS in KLES Dr. Prabhakar Kore Hospital & MRC, Belgaum since August-2006. Promoted as Associate Professor in CVTS, J.N. Medical College, Belgaum since December- 2010.